Wahoo! Use the code 50OFF on your online Dominos order to save 50% on any regular priced pizza! This was posted as an offer on their Facebook page. Expires 8/12/12. NOTE: I wasn't able to complete my order until I selected pick-up at store. You may not be able to use this offer for delivery. Use link provided or enter 50OFF during checkout to receive offer. If prompted, select your store before ordering. 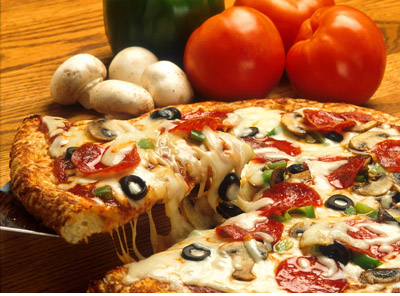 Offer valid on any pizza at regular menu price when you order online at www.Dominos.com. Begins Monday, August 6, 2012. Ends Sunday, August 12, 2012. Offer valid in U.S. only, except AK & HI. Cannot be combined with any other offer.